On this Throwback Thurday lets recall the trend we set! 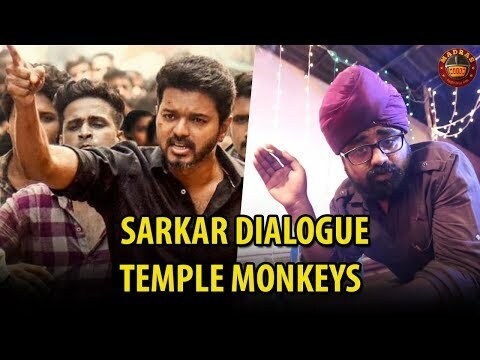 Illaiyalathapathy Vijay in #Sarkar quotes our Therifically Viral dialogue " Yaruva Avaruu, Enakey Avara Pakkanum Pola Irukey!" by Temple Monkeys fame Vijay Varadharaj, Abdool and Shah Ra. #MadrasMeter aims to give you fresh, creative, innovative and engaging videos that are a sneak peek into the lives of Chennaiites.